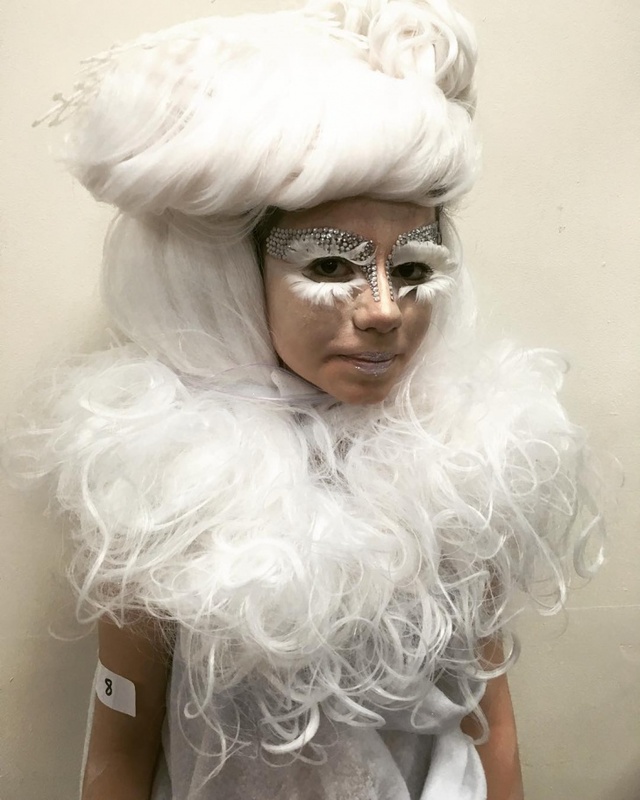 When it comes to special holidays such as Halloween, Christmas or a costume party you need a snowflake makeup design that will make a long-lasting impression. Since people tend to remember the face first, your makeup needs to compliment the outfit. 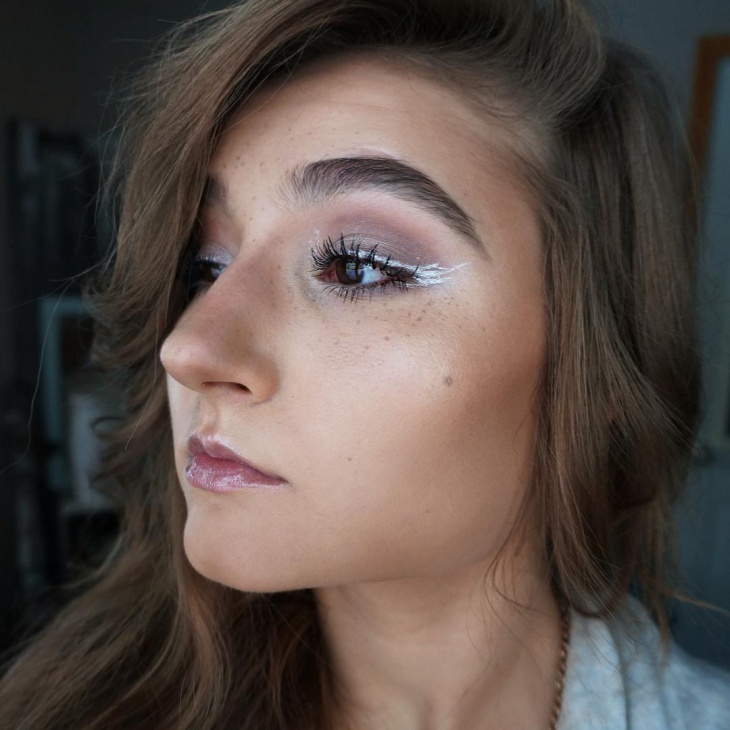 You can either use subtle snowflake makeup or bold prom makeup to depict your personality and style. 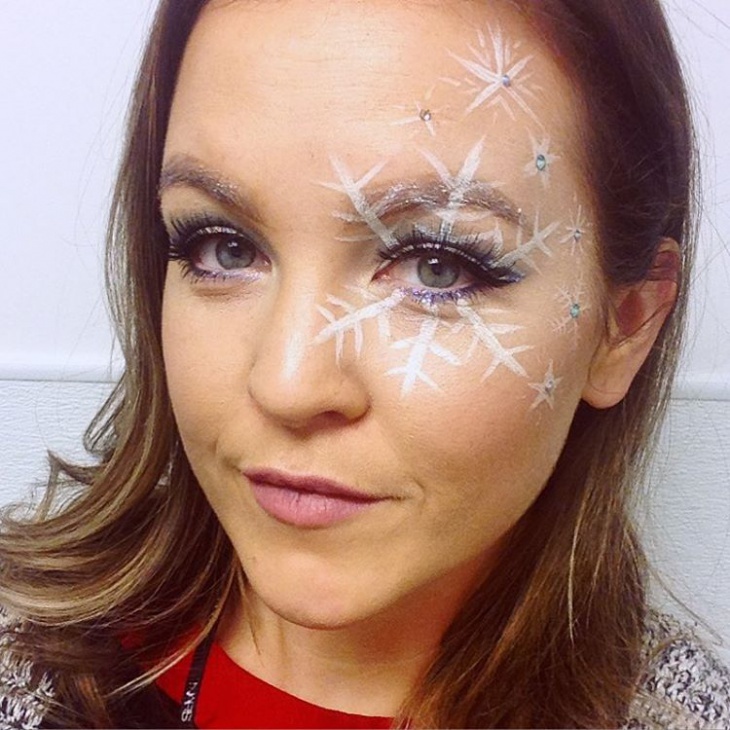 So if you’re looking for some inspiration, there’s a snowflake makeup idea that will balance your costume. 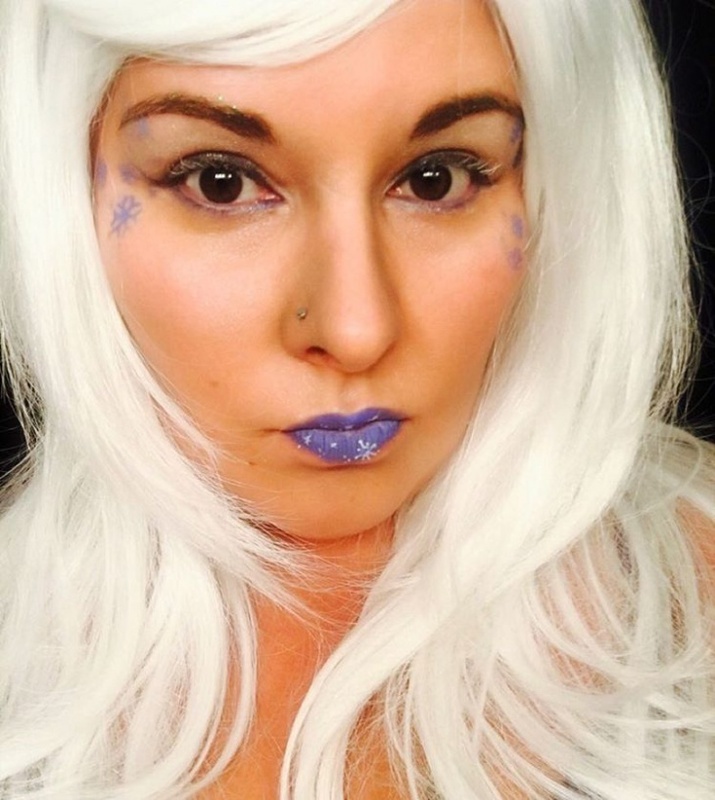 Teenagers can use the snowflake queen makeup to scare off some friends during Halloween or a costume party. Go all out on the scary evil witch theme by opting for a blue eyeshadow, headbands with horns and apply the blue makeup all over your skin. 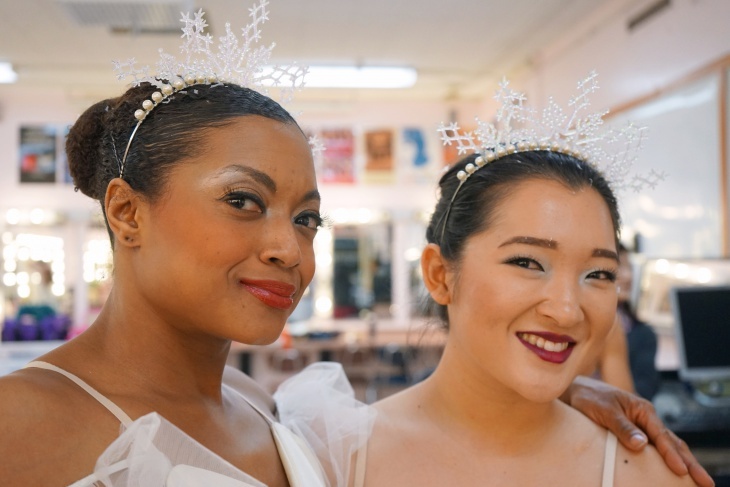 Glitters and white rhinestones are the perfect tools for adding a dramatic effect to a snowflake fairy makeup. You too can recreate this look by adding snowflakes to your hair and adding blue colored glitters. 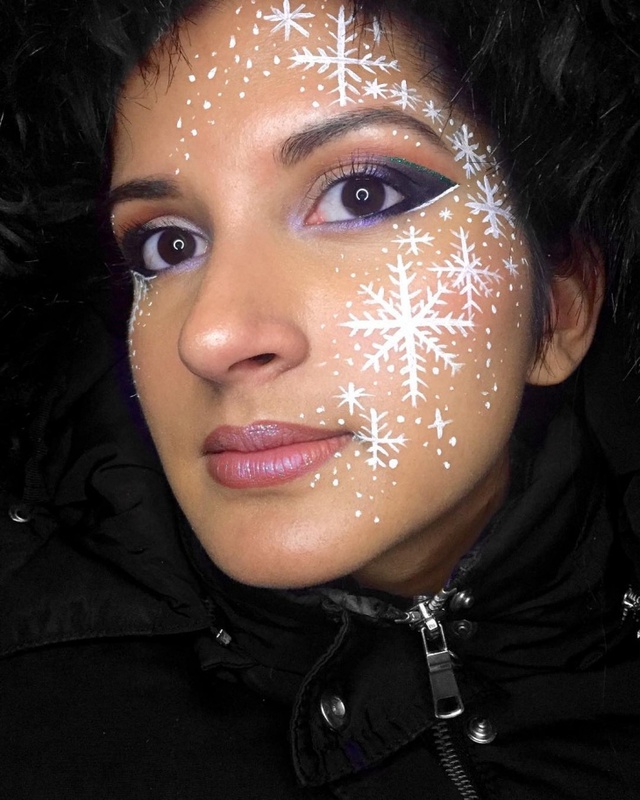 Christmas is the ideal time to experiment with winter makeup. For a cute and simple look draw a snowflake design around your eye, add Swarovski crystals at the center of each snowflake and use mascara to shape your eyelashes. 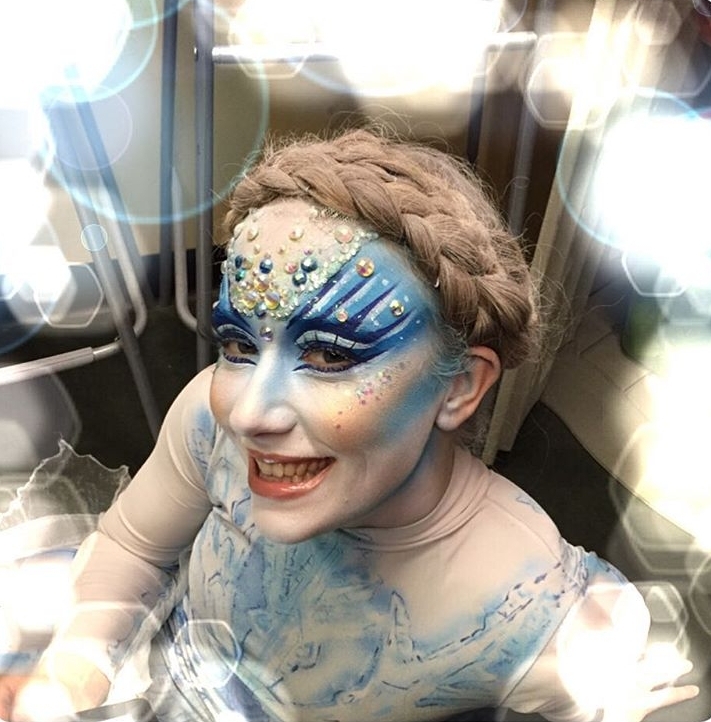 If you’re a street performer or attending a costume party, then fantasy snowflake makeup will help you stand out from the crowd. Opt for bold spike designs and add lots of different colored rhinestones on your forehead. When it comes to snowflake makeup, you have the freedom to either make your lips or eyes the center of attention. For this look draw snowflake designs around your hairline, apply purple lipstick and blend purple eyeshadow with white eyeliner. Glitter eye makeup adds a dramatic effect that can transform your face in seconds. 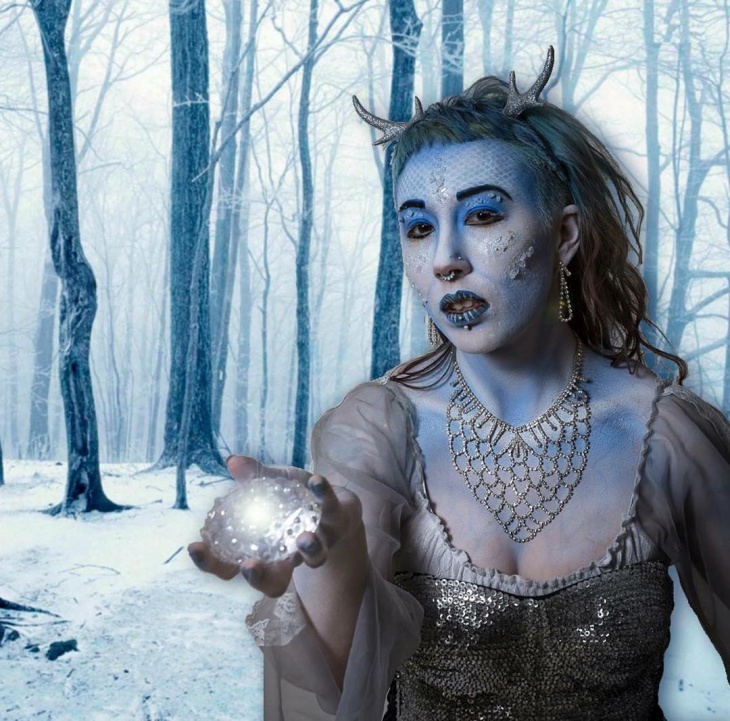 Apart from becoming the winter heroin of the day you can use snowflake makeup to change from a winter look to an ice queen or snow princess. 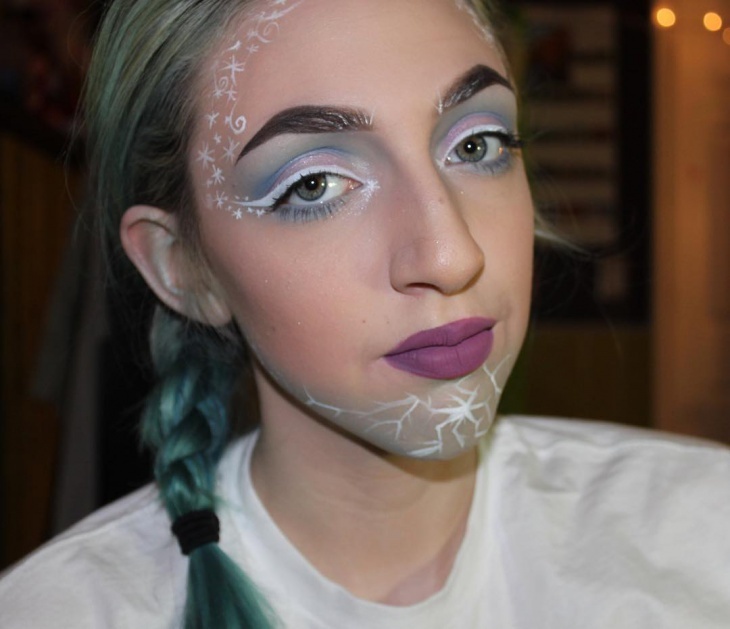 Use white snowflake makeup to dazzle like an ice queen. An absolute requirement with this look is to use everything in white color. So opt for white creative hairstyle, lipstick, feather scarf and add white rhinestones on your eyebrows. 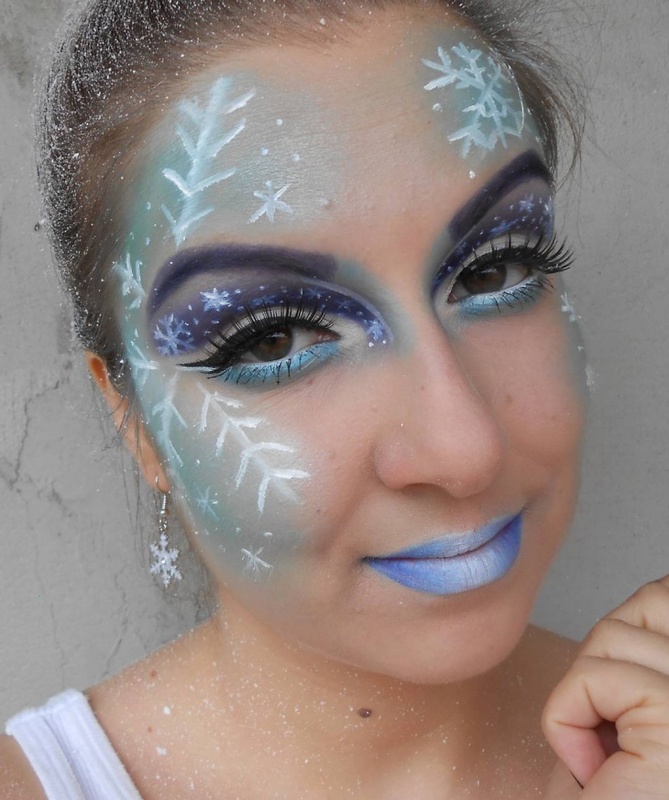 When it comes to snowflake makeup for Christmas the more “bling” you have on, the more you look like an ice queen. Go for flashy necklaces and style your hair so that the face becomes the takes center stage. Express your Christmas spirit by using red makeup. Opt for bold and bright colors without forgetting to add a few snowflake designs on your face. Put emphasis on the lips by using a red lipstick. 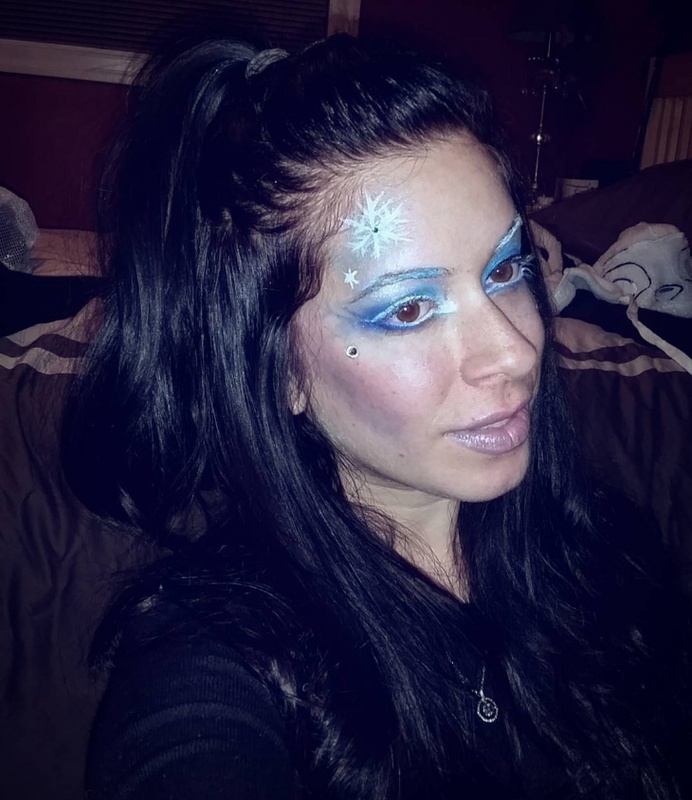 Blue winter snowflake makeup is so versatile that even kids can easily use the design for Halloween. Opt for blue lipstick, use blue eyeliner on the lower eyelids and use a purple shade on the eyebrows. A hydrated skin provides the best canvas to apply snowflake makeup so drink lots of water to prevent dehydration. You also need to moisturize your lips, apply sunscreen and use waterproof eye makeup to prevent the harsh weather elements from smudging your makeup. Women all over the world use makeup to enhance body features and remain beautiful. 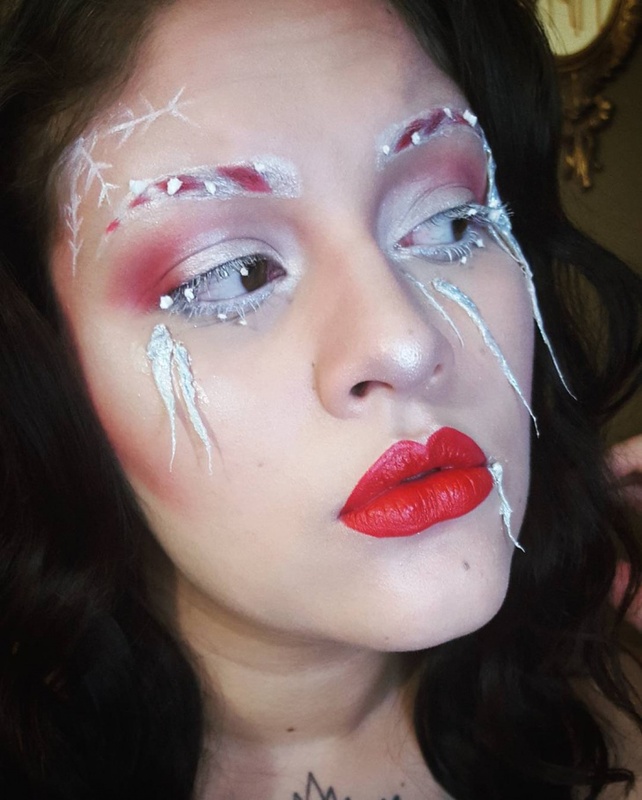 With the snowflake makeup, you don’t have to explain who you’re trying to portray because the ice queen look will speak for itself. 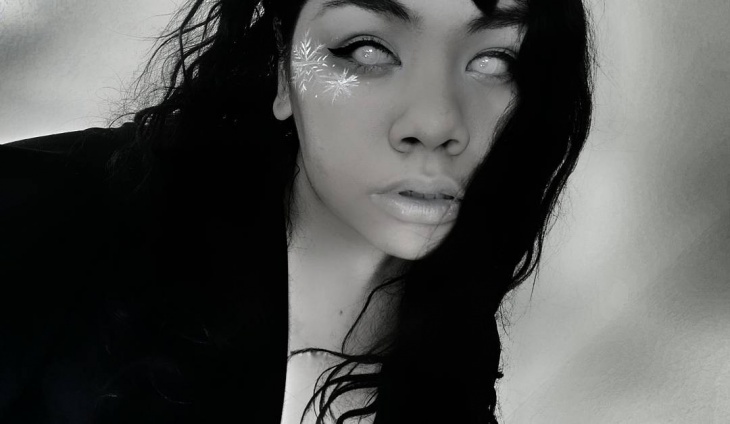 So, be inspired by unique snowflake makeup ideas and use it as a wedding makeup.